We can help you find the best coverage. Our mission is to provide the best home and auto insurance with the best rates and the best coverage tailored for you and your family. 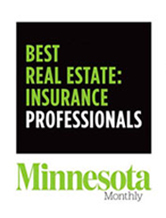 Our extensive insurance experience, coverage expertise, fast processing technology, outstanding claims know-how and exceptional customer service make us the go-to independent insurance agency in Victoria, Minnesota and the Southwest Metro. We specialize in tailoring your insurance coverage to meet the specific needs of you and your family. Whether you have teen drivers, substantial assets to protect, or are just starting out in adult life, we have the perfect coverage for you. Because we are an independent agent, we have the ability to shop many different insurance companies to find the best possible coverage at the best possible rates for your specific needs. If you're an existing client, THANK YOU FOR YOUR BUSINESS! Find out how to file a claim with your insurance company 24 hours a day, 7 days a week; or use our website to link to company sites and pay your bill online. The "Useful Forms" section has information about teen driver safety, EFT enrollment and more. Our "Emergency Contacts" page offers local resources to help you find the help you need when you need it most. 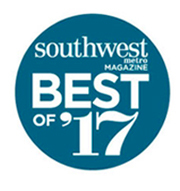 Whatever your auto, home or life insurance needs, we are your local independent insurance resource for the best coverage, rates and customer service in the Southwest Metro. I’m always happy to get an immediate response to my inquiries. I feel Cornerstone has my best interest in mind and they actively pursue options and alternative for my insurance needs to provide me the best coverage at the best pricing. – Steve & Vicki T. Awesome!!! I know if I ever have any insurance questions or concerns I am in great hands. My questions are answered right away and my concerns are put to rest immediately. Great company!!! – Todd & DeeAnn T.
Cornerstone has been our insurance provider for more than 25 years, offering excellent customer service and quick response times. Every few years we shop the market, yet they continue to offer competitive rates. Why switch? – Don & Mary Ellen T.
We appreciate that our costs and needs are reviewed yearly and recommendations for savings are made without my having to make a request. 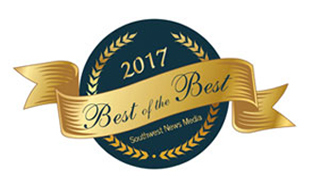 – Christian & Kathy K.
Cornerstone Insurance has won multiple awards in the past several years, including two “fan-favorite” awards in the Southwest Metro community – the Best of Southwest and the Best of the Best awards. Those are voted on by the community, and recognize outstanding service to clients. 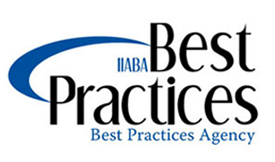 Cornerstone also consistently wins recognition and awards in the industry, including 6 years in a row for Best Practices (2013 – 2018) and Best Real Estate: Insurance Professionals. Laura also serves on several insurance company Agent Councils (including Progressive, Travelers, Encompass, Safeco and more) helping to give insurance companies guidance and direction, to help her clients get the best possible policy coverages. The most important part of our job is to make sure that your family is properly covered in case of a catastrophe. Whether a tornado strikes your home, or you are involved in a major accident, it’s important to know that you have the right coverage. Do you need to call your insurance agent? What drives the price on car insurance?